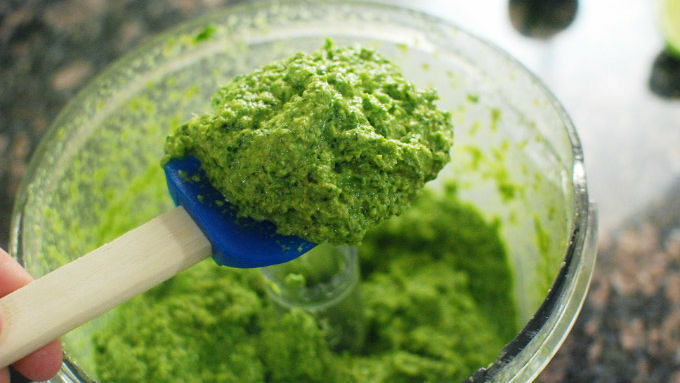 To make the paste: Prep the paste ingredients and make sure to cut them all into manageable-sized pieces. Take the skins off the garlic and ginger and slice the ginger against the grain so you don’t end up with long stringy ginger in the paste. Remove the rough outside layers from the lemongrass and slice the tender middles into thin rounds. 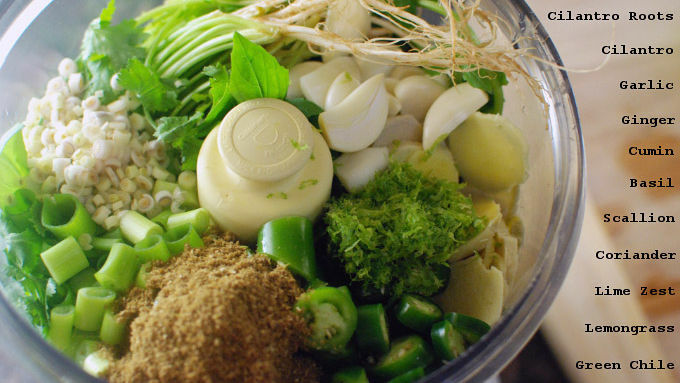 Once everything is ready you can pile it all into the blender with a splash of fish sauce, pinch of salt, and about 1/4 cup of vegetable oil. Blend it really well until smooth. In a hot pan, heat some oil and add the paste. Cook stirring often for about 10 minutes. You will notice the oil separating from the paste. Stir in the coconut milk. 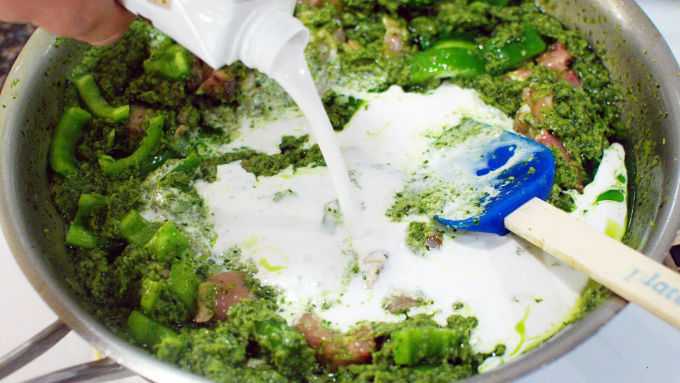 Depending on how much paste you had (it will vary with the size of the ingredients) you may need to add some water to thin out your sauce a little. 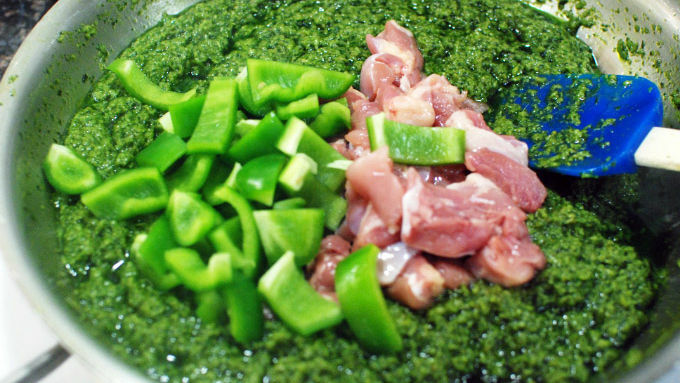 Stir in the chicken and bell pepper. Allow to simmer for 15 minutes, then stir in the corn, mushroom, and zucchini. Simmer another 15 minutes. Add more water as needed for desired thickness. A classic Thai dish you can make at home! Use up those summer veggies with this tangy, flavorful Thai Green Curred with Chicken and Vegetables. 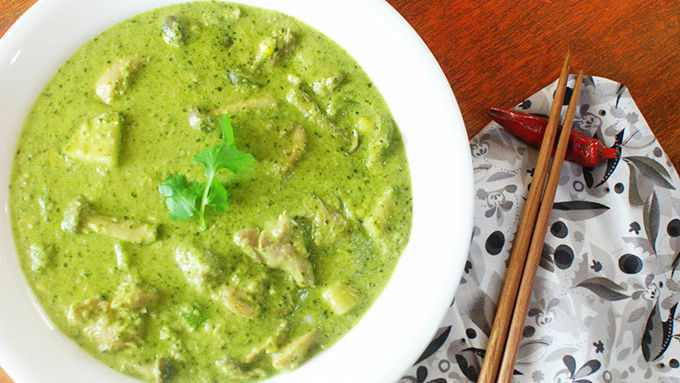 I love green curry, and I get really excited to make it at home! In my world of creating new recipes all the time and trying to hack foods into other foods (ramen grilled cheese anyone?) I can forget how rewarding it can be to just make something simple and delicious that people have been eating for years. That being said, this is far from an authentic Thai Green Curry recipe. But I have used for a long time and it makes a really tasty version with enough common ingredients that most Americans can make it at home. 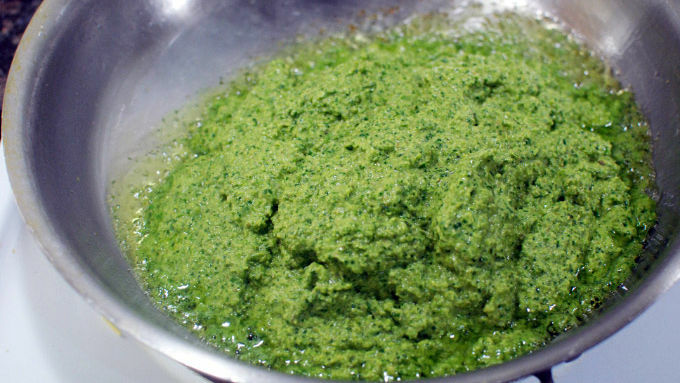 It turns the curry paste process into more of a pesto-style we're familiar with, and makes this recipe very approachable. Try this recipe and expand your cooking horizons! If you've never used lemongrass, it can be a little tricky. Just peel off the woody outer layers until you get to the tender center. Then just chop it into little rounds. Served with rice, for a really nice summertime dinner.